Mmm, mmmmm! Good, ole meatloaf! I have to admit, this is one of my most favorite pictures yet. 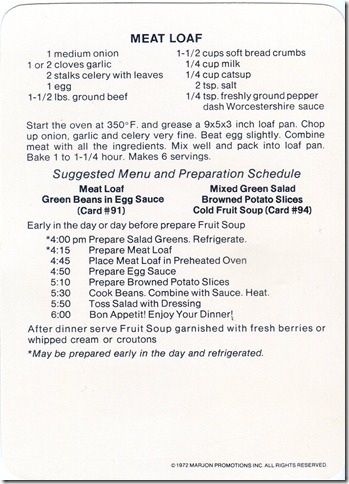 Having meatloaf this week. Can’t wait! 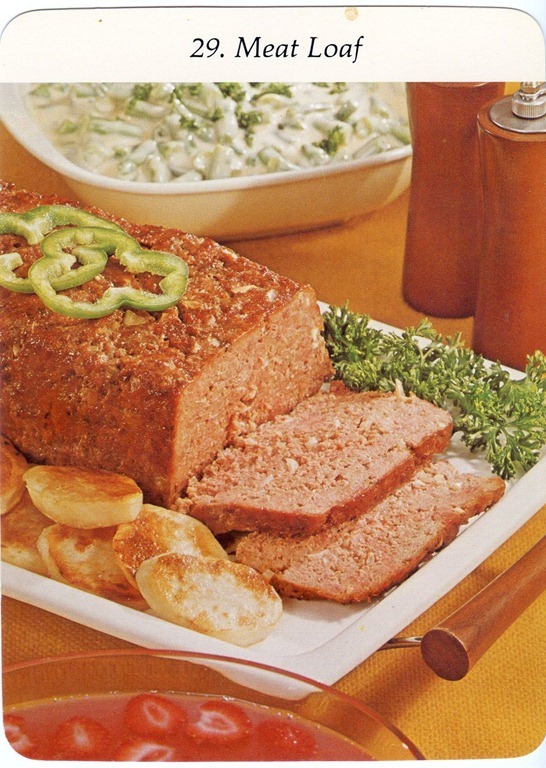 I freakin’ love meatloaf. Maybe I’ll loaf-up this week too? That sounds really gross, on second reading. Oh well. This is a solid meatloaf recipe, as far as meatloafs go. You see, I don’t like food in loaf-form. 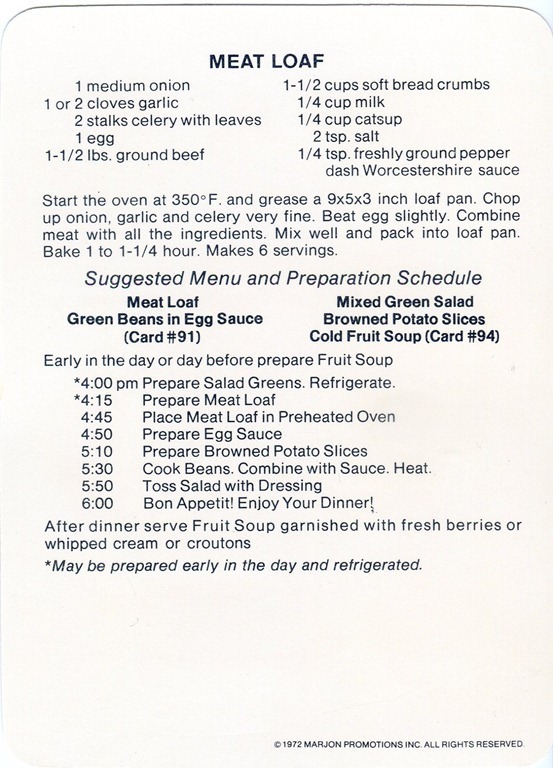 As for the rest of #29: my green beans in egg sauce were more like green beans in custard (blarg), and the fruit soup was like Jell-O that never fully set. So I guess there were little fails all throughout this meal. You do realize that now every time you post a DiS! card, I am going to weigh in if I’ve already made it, right?